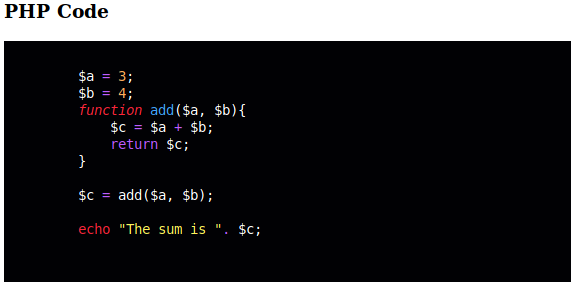 To use the rainbow syntax highlighter, download it in your local server and link it to your webpage. Also link the theme for rainbow highlighter. 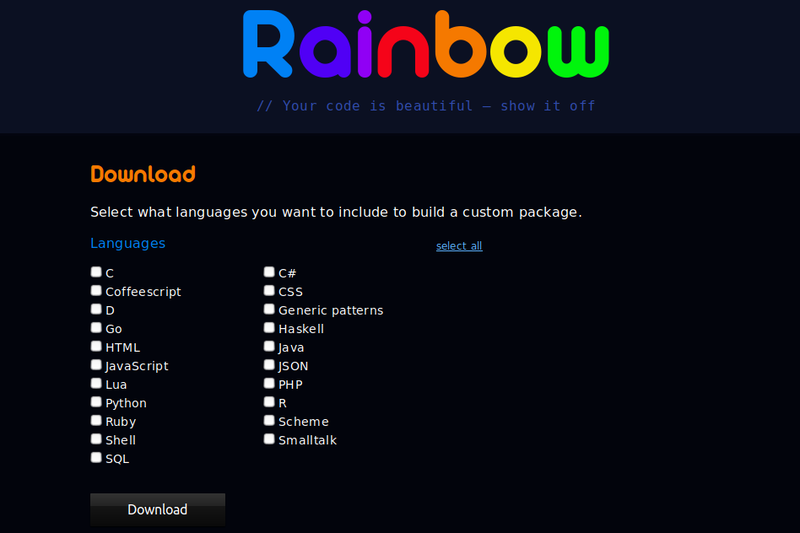 Rainbow will pickup the language to be highlighted using the data-language attribute for the <code> . The <code> needs to be covered by <pre> tag. This will output in the following way on the browser.